The term cusp refers to the imaginary line that divides consecutive zodiac signs and houses. When any planet is on a line, it is considered to be on a cusp, but the Sun's cusps and those of the ascendant are most dramatic in their effects. If you were born on the day the Sun moves from one zodiac sign to another, you won't know exactly which is your true sun sign without having your chart calculated. If you came into the world when the Sun was transiting between signs, or when the ascendant is changing signs, you may have a foot in each of two different realities. When the Sun moves from one sign to the next, it exists for a short time in a transitional state. Its diameter is a half degree, and it moves about a degree per day, so for about a day every month, it will partly be in the previous sign and partly in the next. If you were born when this was happening, you were born on the cusp. Those with cusp birthdays feel the influence of both signs in a blended way. Even if your Sun is not quite 'cuspy,' you might feel as if it is. One reason for this might be that neither Venus nor Mars ever strays far from the Sun. You may well have either of these two planets located in the sign next to the Sun's sign, which would give you some of that sign's characteristics. It is also possible the Moon or ascendant or other planets may be reinforcing that sign. The Sun's light is dramatic and definite! Except for the period when the Sun straddles the cusp, it is clearly in one sign or the other. Astrological angles, the ascendant, midheaven, nadir, and descendant, are critical in delineating the natal chart, and when the ascendant, in particular, is on a cusp, it makes a real impact. The ascendant represents one's view of the world and of the self, a result of early environment and conditioning rather than the innate sense of self. When the ascendant is in the first or last degree of a sign, one's persona will include elements of both of the cusp. For example, Leo rising suggests an open, confident, and charismatic approach to life, whereas someone with an ascendant in the last degree of Leo or at zero degrees Virgo would be more shy and self-critical than a typical Leo rising person. Were You Born On an Astrology Cusp? The Sun's cusp period begins at 29 degrees and 30 minutes of one sign through to 0 degrees 30 minutes of the next. 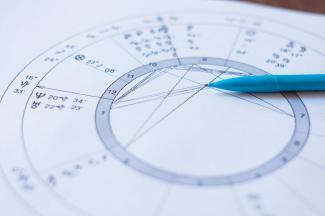 To determine if you were born on the cusp, you need an accurate birth time and to have your natal chart calculated. Due to slight shifts in the Earth's rotation, the cusp's date varies slightly from year to year; there is no consistent date and time to rely on. To find out exactly where your natal Sun is located, there are a number of sites where you can have a chart calculated for free as long as you know your time of birth. You can use a simple Sun sign calculator. The degree on the ascendant changes every four minutes so it is essential to have an accurate birth time to work from in order to determine your rising sign and whether it is on a cusp. You can get your chart calculated online or consult a professional astrologer for a full chart interpretation. The day the Sun changes signs can vary from year to year because Earth's rotation produces slight variations in the cycle so horoscope cusp dates fluctuate a bit from year to year. If you were born on the following dates, your Sun may be on a cusp. Which side of the cusp is stronger will depend on where the Sun is relative to the zero point of the next sign. If your Sun is on the Pisces side of the cusp, you'll find that to dream isn't enough, you'll want to act on them. If your Sun is on the Aries side, then you are sensitive to others' emotional states and less certain of yourself. 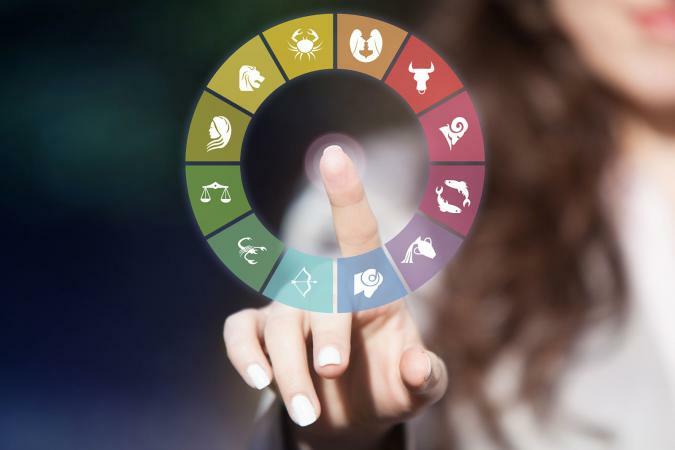 If your Sun is on the Aries side, your aggressive Aries nature is a bit more stable, you complete tasks more easily, and enjoy material comforts. If your Sun is on the Taurus side, the bull is in a china shop; you can be accident prone, impulsive yet stubborn, and a bit of a bully. If your Sun is on the Taurus side, your stoic and practical Taurean nature is imbued with intellectual curiosity, and you enjoy conversations and company. If your Sun is on the Gemini side, your quick mind will be more drawn to practical and earthy concerns, like learning how things work. If your Sun is on the Gemini side, your thoughts are tinged with emotions, and it can be hard to tell objective truth from your own projections. If your Sun is on the Cancer side, you think about your feelings and memories as you feel them. You enjoy telling and hearing stories, and you are interesting. If your Sun is on the Cancer side, you are less shy and a bit more inclined to share your gifts and creativity with others. You may enjoy performing. If your Sun is on the Leo side, you feel a bit insecure about your self-expression; it seems to reveal too much. You are more vulnerable. If your Sun is on the Leo side, you are a perfectionist about your creative self-expression; it has to pass through the filter of self-criticism. If your Sun is on the Virgo side, you are more playful and expressive, the strict Virgo perfectionist nature leavened by creativity. If your Sun is on the Virgo side, your Virgo goal of perfection is sidetracked by dreams of romance and love. You want to become the right person for someone. If your Sun is on the Libra side, you are more critical of others, and your relationship standards are stricter. You are a stickler for fairness. If your Sun is on the Libra side, you know more about others' dark motivations than you want to. You may choose to deny that you know uncomfortable things about the ones you love. If your Sun is on the Scorpio side, your dark nature is mixed with idealism. You feel deeply but look more on the bright side. If your Sun is on the Scorpio side, your depths are leavened with optimism. You see the light at the end of the tunnel. If your Sun is on the Sagittarian side, you have some understanding of emotional undercurrents and dark emotions. You are able to feel what others feel. If your Sun is on the Sagittarius side, your expansive will to freedom is tempered with a sense of responsibility and ambition. If your Sun is on the Capricorn side, you can let your hair down and enjoy life. You might seek a career that combines a solid future with fun. If your Sun is on the Capricorn side, your seriousness is balanced with a quirky sense of style and an incisive wit. If your Sun is on the Aquarian side, you take the world more seriously than most Aquarians; you keep your feet firmly on the ground even when lost in thought. If your Sun is on the Aquarius side, your thoughts are slightly fuzzier, more dreamlike, and intuitive. If your Sun is on the Pisces side, your dreams and fantasies are sharper, clear and lucid, and you are fascinated by ideas and may be drawn to technology. Once you have a natal chart, you can explore other cusp areas in your chart. Perhaps Venus or Mars is located at zero degrees of a sign or the Moon. Learning about these subtleties help fill out your understanding of your unique personality and soul!